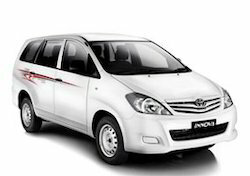 Our firm is rendering Innova Car Rent Services. This service is rendered in dissimilar form at nominal prices. These services are handled by our experts who have prosperous experience and skill. Moreover, we render this service at low costs. Naruka Tour And Travels is offering Volvo Bus, Car Taxi Rent, Kashmir Tour Packages Service and Rajasthan Tour Packages Service. We offer these services at reasonable pricing. We are highly recommended among our customers for our reliability.